A Madras Cocktail Recipe is a typical cocktail which is a beverage containing a mixture of intoxicating alcohol or liquor combined with other ingredients such as fruit juices or mixers. The Madras Cocktail Recipe is ideally served with an exotic and colourful presentation, accompanied by tropical fruits, crushed ice, umbrellas, sparklers, paper flowers etc. This Speciality drink is free and perfect for any Bar to mix a popular Summer beverage. Our list of cocktail recipe names provides a great Menu for these exotic and tropical drinks. The closest related cocktail to the Madras has to be the Seabreeze. 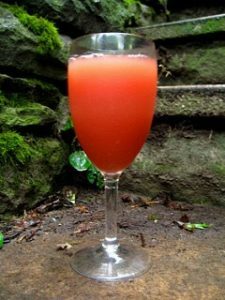 A vodka based cocktail with both cranberry and grapefruit juice instead of the orange juice used here in this drink.